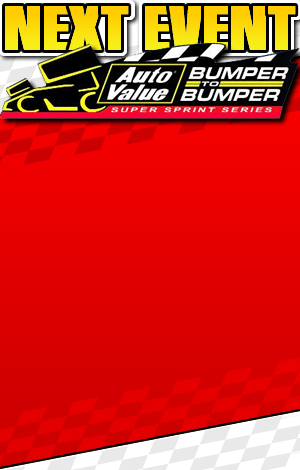 The Auto Value Super Sprints (AVSS) bring down force pavement racing to racetracks all around the country. 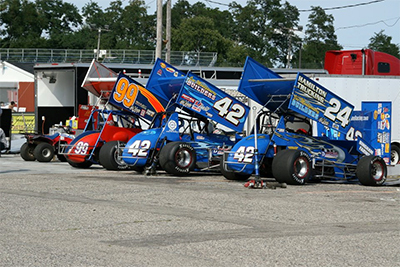 The AVSS series features 410 cubic inch powered winged sprint cars that race on paved racetracks from 1/4 mile to 5/8 mile in length. The cars race on Hoosier Tires and reach top speeds well over 140 mph. Auto Value has been a supporter of the group since it’s formation in the fall of 1996. The series then separated into dirt and pavement groups in 1998, which allowed the drivers to choose racing on either surface. The series has experienced tremendous growth over the past seasons. Car counts have also increased with full fields at every event. 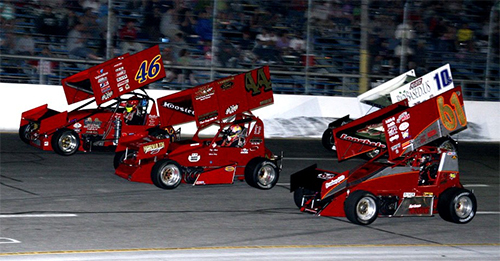 The typical Auto Value Super Sprints event starts with practice sessions. This is followed by qualifications where the cars go out one at a time for two laps against the clock. The best of those two laps is taken as that driver’s official time. Then the drivers participate in heat races. The top finishers in these heat races transfer on to the “A” Main event. The remainder of the drivers get one more shot at the feature event through the “B” Feature event. The top finishers in that event also move on to the feature event, while the remainder of the drivers are finished for the evening. Before the feature all of the cars are lined up on the front straightaway. All of the drivers are introduced one at a time, followed by a group Frisbee toss, which has become a trademark of the series. The drivers are then pushed off for the “A” Main event. Just before the start though the drivers line up for the 3-abreast salute to the fans. Fans are encouraged to stand and wave to send off the drivers before the “A” Main event. The “A” Main is the final, longest, and most important event of the night. At the end of the event the winner is stopped on the front stretch for photos and the accolades that come with winning an Auto Value Super Sprints event. After the feature, fans are invited down to the pit area to meet the stars of the Auto Value Super Sprints and get a closer look at these lightning fast pavement machines. We hope you can attend one of our events this season. If you are interested in more information about the series check our the other sections of our website, or get in touch with someone on our contact page.